Electric outlet plugs reduce air leaks from the wall cavity into your home through unused electric outlets, while also making a house safer for children by keeping curious fingers out of unused electric outlets. Conventional electric outlet plugs are only about 1.4" wide, which can pose a choking hazard to children. 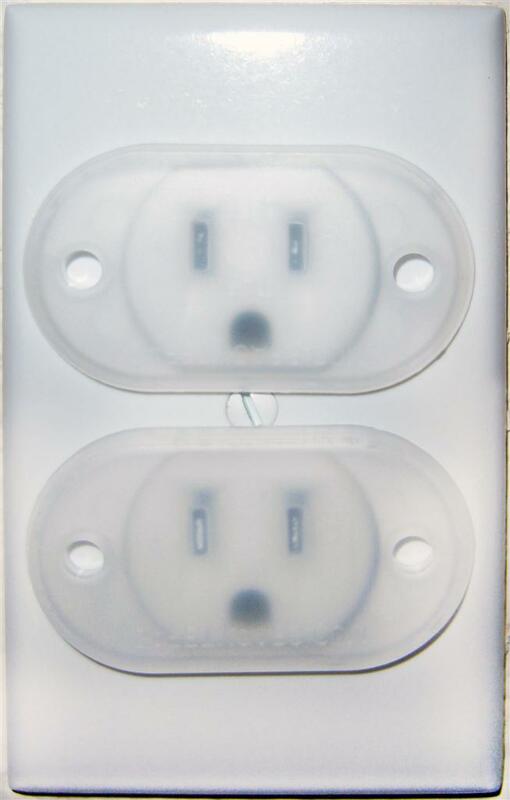 This inspired the new plug design, Safety Caps. They fit into unused electric sockets just like conventional electric outlet plugs and are consistent with pacifier regulations. They are 2.25" wide, making them too wide to easily fit into a child's throat. In the event a child does manage to put one in their mouth, air holes have been added to provide additional safety.